Back up battery (3hrs at full charge). 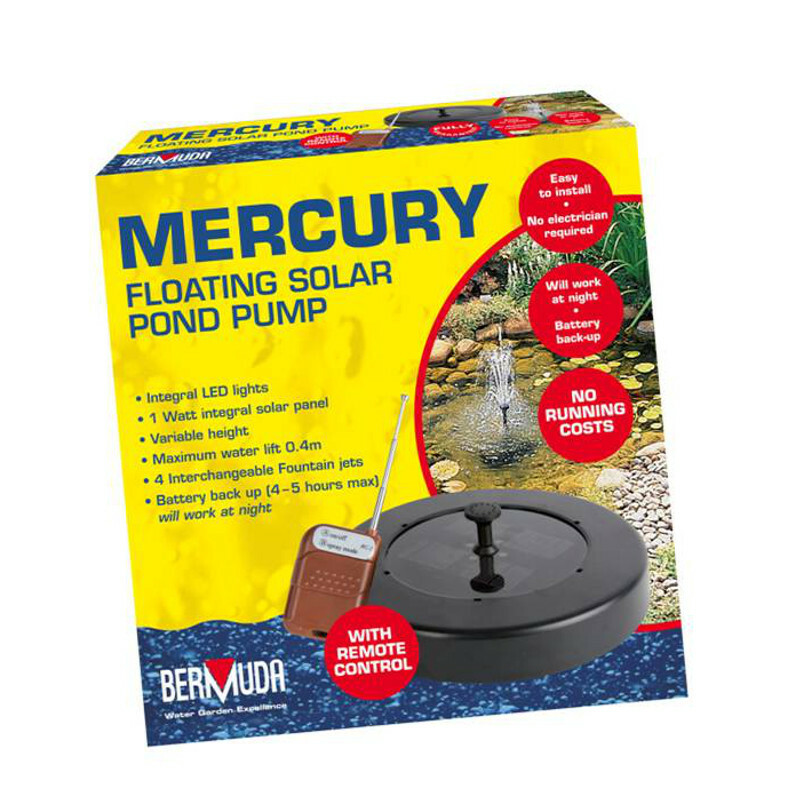 The Bermuda Mercury is very easy to install and being solar powered has no running costs. Complete with LED light it is an aesthetically pleasing and cost effective water feature option for any garden pond. 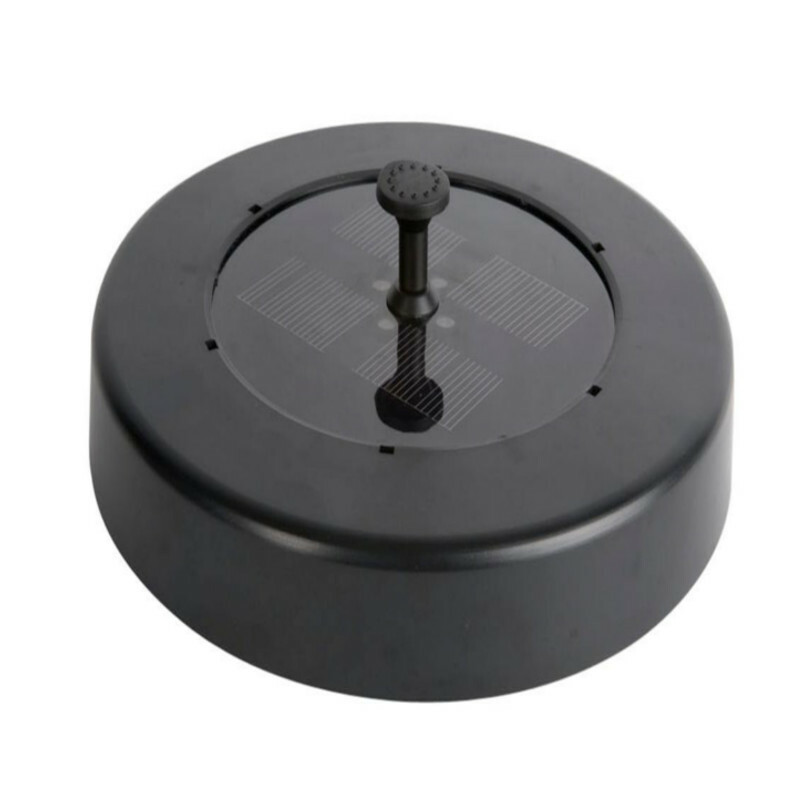 The solar panel supplied with the Mercury, can be placed beside the pond and from there it powers the feature in the day and stores up more energy. When the sun sets, the reserve in the battery pack begins to work and the feature will continue to work. Once charged, the battery will last for 3 hours.